Beverly is co-owner of Physical Therapy and Injury Specialists (PTIS). She is a Certified Orthopedic Manual Therapist (COMT) through the North American Institute of Orthopedic Manual Therapy and is trained in trigger point dry needling. She recently became a Certified Fellowship Instructor with NAIOMT. In addition to her work as a manual therapist at PTIS, Beverly treats patients at Craig Hospital, the Rocky Mountain Regional Spinal Injury Center. She teaches courses for therapists interested in using a manual therapy approach for the SCI patient with neck and shoulder pain. In September, 2007 Beverly will be traveling to Vietnam and Cambodia as a delegate with the APTA to share with physical therapists in those countries. Beverly is a world wide traveler, having traveled to many parts of the world on missionary trips as well as for cultural interests. Her recent travels have taken her to Israel, to Greece and to Turkey to visit the First Century churches. 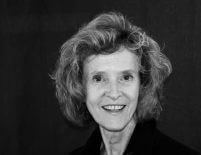 Beverly has been an avid downhill and cross country skier as well as tennis player. Currently she works out through a daily walking and classical stretching program. Beverly is a member of Denver First Church of the Nazarene and participates in the women’s bible study group as a facilitator. National Lecturer for the allied health and medical professionals for the treatment of back and shoulder pain for patients with spinal cord injuries.